If you aren’t familiar with Next Lock Screen, it is a lock screen app that Microsoft targets for busy professional. Next Lock Screen is the ultimate lock screen for busy professionals. Next helps protect your phone from unwanted access by others, and you are instantly more productive. 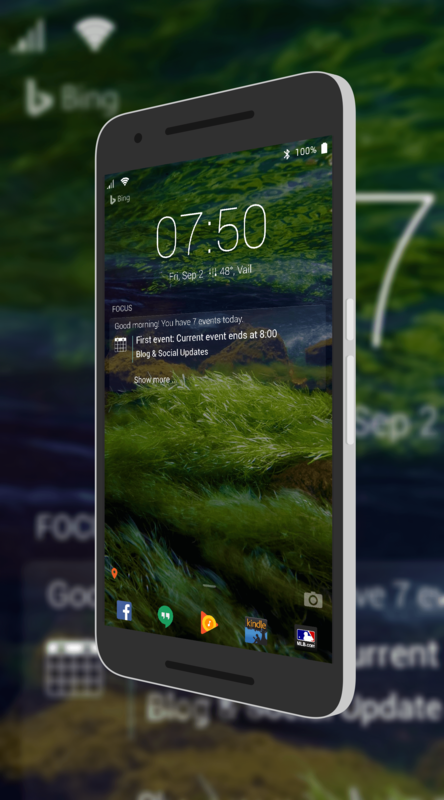 It works as a lock screen replacement for your Android phone and gives you access to your calendar, contacts, apps and weather all at a glance. It is a pretty clean but powerful interface that is certainly a step above the stock lock screen on the platform. If you haven’t checked it out before, you can download it free in the Play Store.